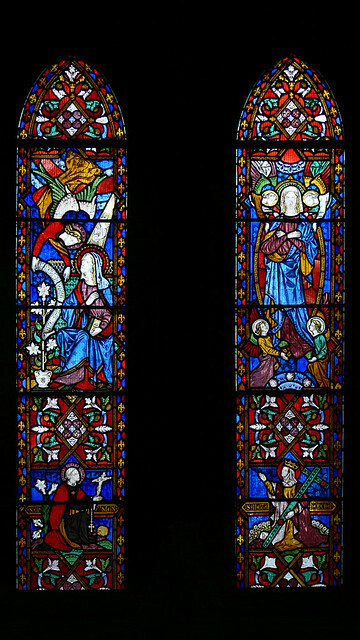 There are three lancet windows in the Lady Chapel by John Hardman. 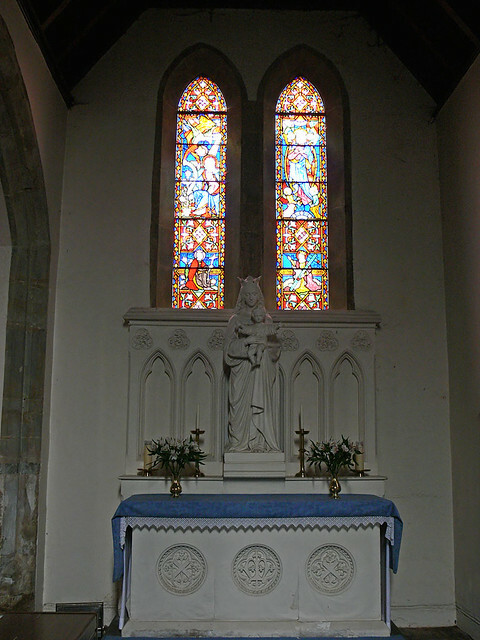 The double lancet window above the altar depicts the Annunciation and the Assumption. The two donor figures at the bottom of the two lancets are St. Aloysius Gonzaga, and St Helen. This window is dedicated to Thomas Aloysius Perry and his wife Helen (who was the niece of the church's founder Joseph Knight). In the south wall of the Chapel is a single lancet window of St Stephen. The window is dedicated to Stephen Perry the uncle of Thomas Aloysius Perry.